blink v2, originally uploaded by hc gilje. 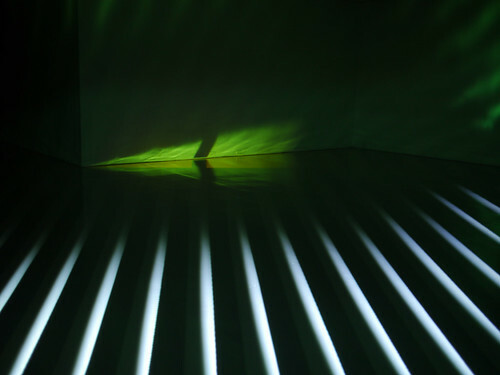 Blink is part of an exhibition curated by Hicham Khalidi, produced by Den Haag art space TAG, made for Club Transmediale that opens in Berlin today. Our brains are esemplastic. They are perfectly evolved for pattern recognition, designed to shape disconnected elements, like the incomplete or ambiguous information we get from our senses, into the seamless whole of our experience. What we see, hear, touch and feel is folded into an amalgam of data, emotions and cultural baggage. And in the contemporary world, this esemplastic power is pushed to the limit in the sea of information that we are floating in: data-visualizations, scientific studies and computer analyses become increasingly abstract and disconnected from our normal experiences. Are we losing our sense of meaning as we fail to join the billions of dots? What compromises are we making when we try to settle on a particular interpretation? The works in Esemplasticism – the truth is a compromise are mostly low-tech, using everyday objects and media. 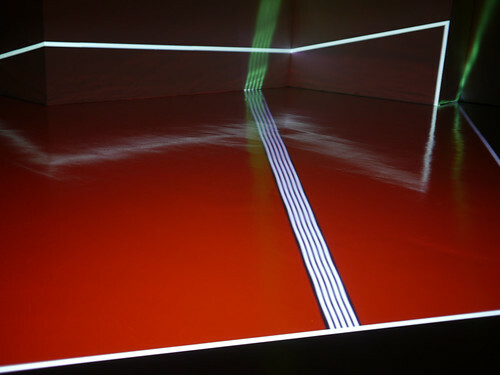 Employing sound, objects and synchronicity; relatively ‘old’ technologies like field recordings, music, video, and projection, each piece lifts the curtain on the perceptual tactics that our esemplastic/apophonic/pattern recognising brains employ to negotiate the world; with wit and irony, they have much to say about verisimilitude as each exposes a different fracture between our expectations, our perceptions and our compromises about the objective ‘truth’ that exists ‘out there’. Artists: Edwin Deen, Daniël Dennis de Wit, Lucinda Dayhew, Anke Eckardt, HC Gilje, Terrence Haggerty, Yolande Harris, Alexis O’hara, Pascal Petzinger, Mike Rijnierse, Willem Marijs, Bram Vreven, Katarina Zdjelar, Valentin Heun, Sagarika Sundaram, Gijs Burgmeijer. I will post links to the catalogue when that becomes available. The exhibition will be on until the end of February. For me this was an opportunity to improve the installation both esthetically and technically. 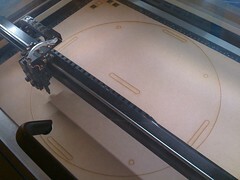 I constructed a platform for the equipment using a laser cutter, which turned out quite nice. 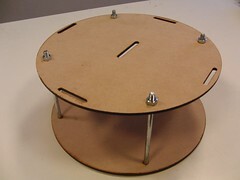 This greatly simplified the installation of the work. As mentioned in previous posts, the installation uses my dimsun lighting system, and the design for this will be made available shortly. Due to other obligations I needed to set up my installation before everyone else. 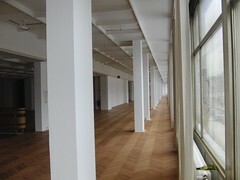 It was a strange experience to work alone in the 900m2 empty building in Spandauer Strasse, close to Alexanderplatz. My only companion was the stepladder which also became the model for my documentation. As expected, the international art press didn´t fly to Bergen to cover my exhibition. Neither did the national press or the local press (with one exception). However, I did get a lot of positive comments from visitors of all ages (see more of the younger generation´s response here), as well as some feedback from Norwegian art blogs like kunstkritikk and ytter (both in Norwegian). The last half year I have been working quite a lot with lights and shadows, and this summer I decided to build my own lighting system, which I called dimsun. 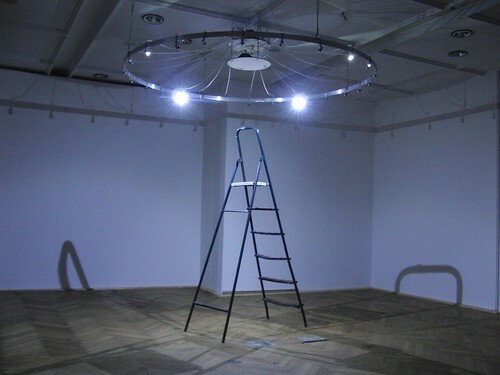 The first use of it was for my blink installation consisting of 24 leds placed in a circle. It consists of dimmers based on the TLC5940 led controllers. 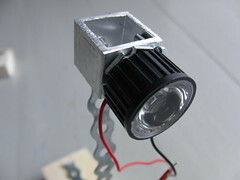 Each of the dimmers can control 16 channels, up to 5w each, and are intended for power LEDS, very bright leds up to 5W. 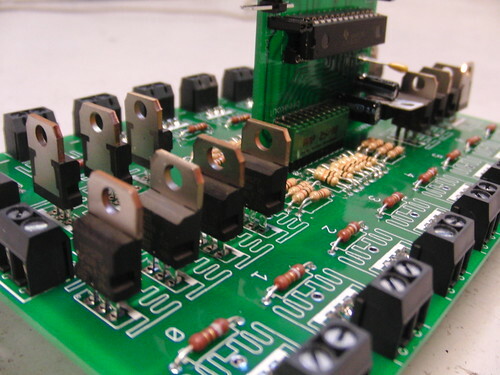 The dimmer is controlled by an arduino microcontroller, and up to 6 dimmers (96 channels) can be controlled from one arduino. more images of the dimsun system. The schematics will be made available soon. The lamps are based on starshaped LED´s combined with a lens mounted on an aluminum profile. 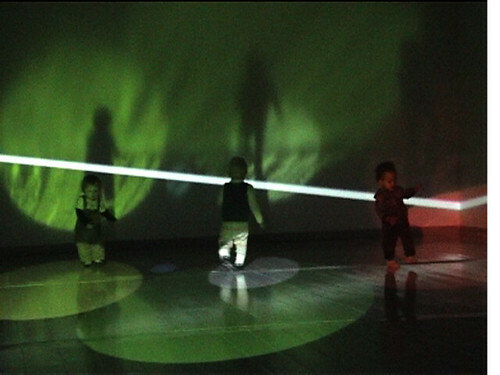 Last week my exhibition blink opened at HKS in Bergen, Norway. 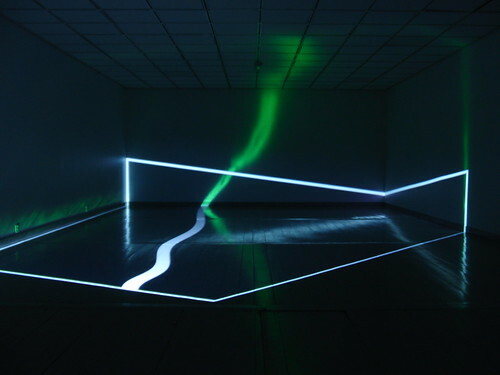 It consists of two new installations and documentation of the main projects I have done during my research fellowship. In the basement I have a light-sound installation, with 24 bright LEDs placed in a circle in the ceiling, animating the shadow of the visitor. 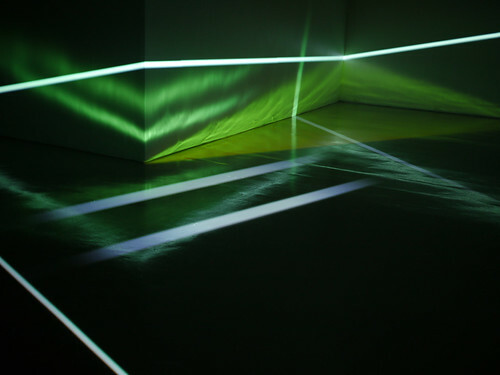 In the main space I have a video projection-sound installation, where I project into/onto the gallery space. Since my project the last three years has focused on improvising with spaces, transforming them using image, light and sound, I decided for this exhibition to go all the way and work with two empty spaces. more images of the installation. 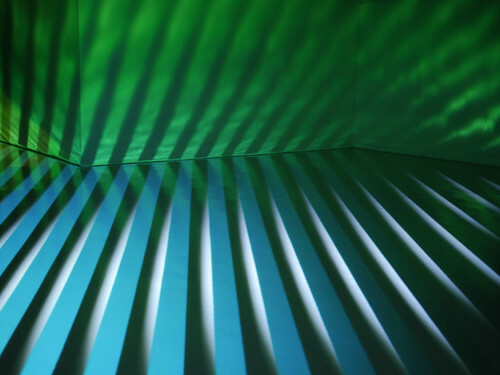 I will come back with documentation of the light-shadow installation. HKS asked the australian artist and writer Mitchell Whitelaw to write a text about my work.